Trending at $66.14Trending price is based on prices over last 90 days. TOP SELLER!!! #1 MANUFACTURER! SATISFACTION GUARANTEED! 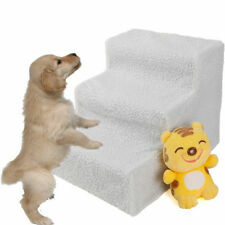 Dog Steps Folding Pet Stairs Portable Great for Dogs Stairs Tall High Bed Car..
Pet stairs for bed. Doggy Steps. Dog Staircase. Pet Supplies, Disabled dogs.